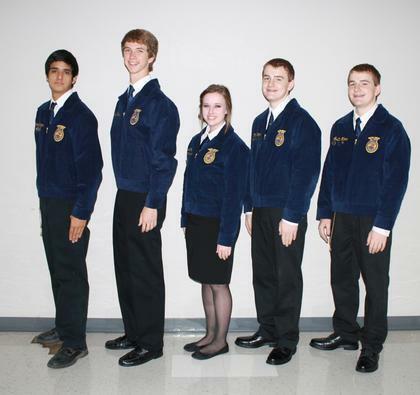 The Celeste FFA Senior Chapter Conducting Team won 5th place and brought home an Area V Chapter Conducting banner. 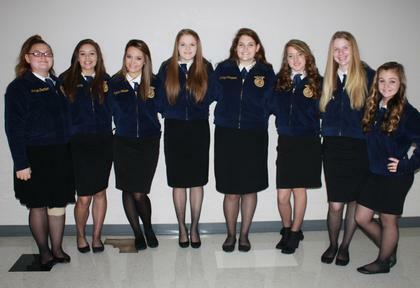 On Saturday, November 23, 2013, twenty-six members of the Celeste FFA competed at the Area V FFA Leadership Development Contest. The Senior Chapter Conducting Team (placed 1st in district) won 5th place and brought home an Area V Chapter Conducting banner. The team faced a challenging problem as they conducted a mock chapter meeting to demonstrate their knowledge of basic parliamentary law and the use of correct parliamentary procedure. The Junior Conducting Team (Lindsay Thompson, Shayla Daugherty, Madison Minter, Myranda Kittelson. 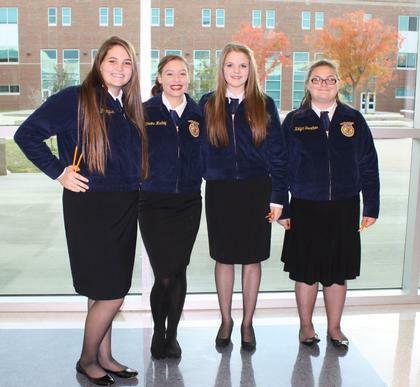 Catherine Mackey, Katlynn Trantham, Emily Bowles, Carly Felty) placed 8th overall incompetition. 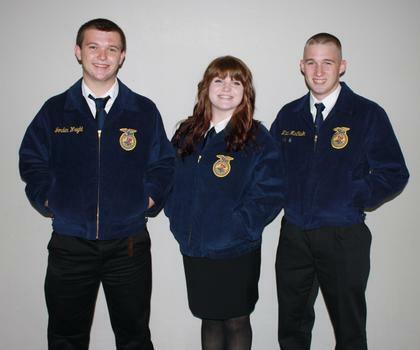 Also competing in the contest was the Broadcasting Team (Micah McCaslin, Michala Moree, Jordan Wright) which placed 7th, the Ag Advocacy Team (Chris Moore, Austin Moore, Richard Horton, Gary Casey, Abby Collida) which placed 11th and the Junior Quiz Team (Shayla Daugherty, Catherine Mackey, Lindsay Thompson, Katlynn Trantham) which placed 8th overall. Lindsay Thompson was awarded 3rd high individual in the Junior Quiz contest. These students have worked extremely hard over the last 2 months preparing for this contest. Celeste ISD commends these students for their hard work and dedication. 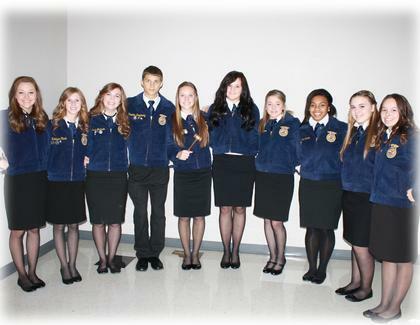 Junior Quiz Team - 1st Place District, 8th Place Area - Lindsay Thompson was awarded 3rd high individual in jr quiz.